In a case of first impression, the Board granted Bayer's petition to cancel Belmora's registration for the mark FLANAX for "orally ingestible tablets of Naproxen Sodium for use as an analgesic," on the ground that the mark is being used by Belmora to misrepresent the source of its goods, in violation of Section 14(3) of the Trademark Act. The Board found that the record evidence "readily establishes blatant misuse of the FLANAX mark in a manner calculated to trade in the United States on the reputation and goodwill of petitioner’s mark created by its use in Mexico." Bayer Consumer Care AG v. Belmora LLC, 110 USPQ2d 1623 (TTAB 2014) [precedential]. Because Bayer could not show use of the FLANAX mark in the United States, the Board, in a prior ruling, dismissed its claims of likelihood of confusion and fraud. Bayer Consumer Care AG v. Belmora LLC, 90 USPQ2d 1587 (TTAB 2009) [precedential]. [TTABlogged here]. That same ruling also dismissed Bayer's claim of violation of Section 6bis of the Paris Convention because the Paris Convention is not self-executing and does not afford an independent cause of action for parties in Board proceedings. Standing: Belmora challenged Bayer's standing at every stage of the proceeding, pointing out that Bayer does not own a registration for the mark FLANAX in the United States, and has not used and does not plan to use the mark here. In short, Belmora asserted, no use means no trademark rights. Bayer responded that Section 14 of the Trademark Act imposes no use requirement, in contrast to Section 2(d). Bayer established ownership of a Mexican registration for the mark FLANAX for pain relievers, and that it licenses its corporate affiliate to sell the product under that mark in Mexico. 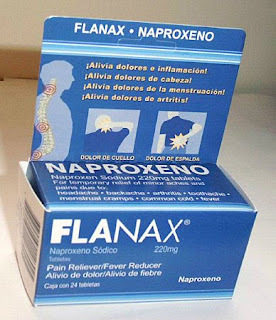 FLANAX brand analgesic has been sold in Mexico since 1976 and ranks as the top-selling pain reliever in Mexico. The Board found that Bayer met the CAFC's liberal standard for standing because it established that "it has an interest in protecting its Mexican FLANAX mark." If respondent is using the FLANAX mark in the United States to misrepresent to U.S. consumers the source of respondent’s products as petitioner’s Mexican products, it is petitioner who loses the ability to control its reputation and thus suffers damage. *** [T]he record in this case clearly establishes that the reputation of the Mexican FLANAX mark does not stop at the Mexican border. Section 14(3) Under Section 14(3) of the Trademark Act, a party may petition to cancel a registration of a mark if the mark "is being used by, or with the permission of, the respondent so as to misrepresent the source of the goods or services on or in connection with which the mark is used." The petitioner must show that respondent took steps to deliberately pass off its goods as those of petitioner. The Board observed that, "although the facts before us present a matter of first impression, they do not present a close case." It found that Belmora "knowingly selected the identical mark FLANAX, used by petitioner's Mexican licensee on naproxen sodium-based painkillers, for use in the United States on the same type of goods." The Board pointed to the fabrication of documents by, and untruthful testimony of, Belmora's founder regarding the origin of its FLANAX mark, the substantial copying of the FLANAX logo and packaging used in Mexico, and perhaps most importantly Belmora's repeated invocation of the reputation of Bayer's FLANAX mark when marketing its own FLANAX product in the United States - which the Board deemed an admission that Bayer's FLANAX mark "is known among the U.S. retailers and Hispanic consumers to whom respondent markets its products." Belmora asserted that, because its own name and not Bayer's appears on its product, it could not have misrepresented the source of the product. The Board disagreed. Respondent .. need not use the Bayer name to affirmatively misrepresent the source of its FLANAX-brand products. Respondent purposely achieved the same result by not only copying petitioner’s mark and logo – and, for several years, significant aspects of its packaging – but also by repeatedly holding itself out as the source in the United States of the product sold for decades under the same mark in the bordering country of Mexico. Finally, Belmora maintained that it changed its packaging and discontinued its attempts to link its FLANAX product to Bayer's product, but the Board found that, even if those assertions were true, Belmora's "continued use of the FLANAX mark, coupled with its earlier deceptive marketing over several years as it built its business, constitutes misrepresentation of the source of respondent’s goods within the meaning of Section 14(3)." And so the Board granted the petition for cancellation. TTABlog note: Wow! What would happen if Bayer brought a civil action in an attempt to enjoin Belmora's use of FLANAX? The courts in the United States do not recognize the "well-known mark" basis for relief (but see Grupo Gigante v. Dallo), so what claim would it have? What if Bayer started using FLANAX in the United States. Could Belmora stop it? And what if a third-party began using FLANAX? Marty Schwimmer, my go-to guy on these inter-jurisdictional trademark use issues, provides his commentary here at the Trademark Blog, in a post entitled "Bayer v Belmora (FLANAX): Is This The First TTAB 'Reputation Without Use' Case?" Suppose Bayer had filed an intent-to-use application for FLANAX in the United States. Could it then bring a likelihood of confusion claim under Section 2(d)? Compare Fiat Group Automobiles S.p.A. v. ISM, Inc., 94 USPQ2d 1111 (TTAB 2010) [precedential] [TTABlogged here], in which the Board held that a foreign owner of a famous mark, who has filed an I-T-U application, may oppose an application on the basis of dilution. I don't understand why the drafters saw fit to provide a "misrepresentation of source" cause of action for cancellation, but not opposition. Would this case have been decided differently if it were not involving pharmaceuticals and the country weren't Mexico??? This is the best possible case for reputation without use. I don't see the Board being as tolerant for say Italian wine. I'm troubled by the standing issue. What reputation is Bayer trying to protect? If it doesn't sell FLANAX in the USA, how can its reputation in the USA be harmed? Is the Board saying that Bayer has the right to protect its reputation in Mexico via a US opposition? In the Fiat case, at least Fiat had an ITU application on file, so it had potential use. Bayer apparently admitted it has no plans to use FLANAX in the USA. I am troubled by the defendant lying under oath.